American tank-minesweeper “Sherman” in the city of Donville-les-Bains. 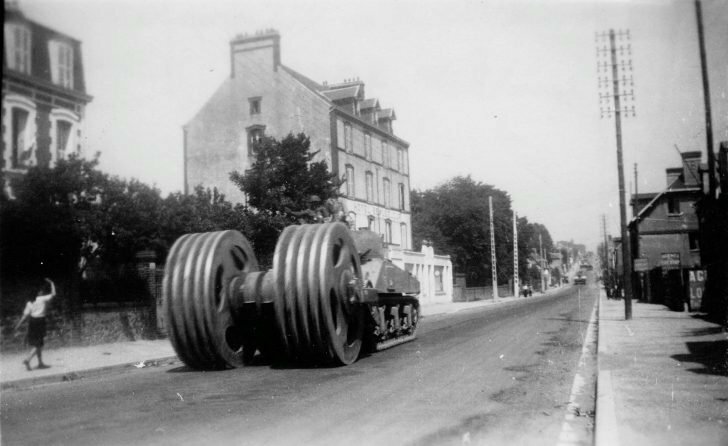 A modification of the T1E3(M1) Roller (Aunt Jemima) was a tank equipped with a roller track sweeper. Each rink consisted of five discs.